Prototype shoegazers return with the 8th album of their 28 year existence. 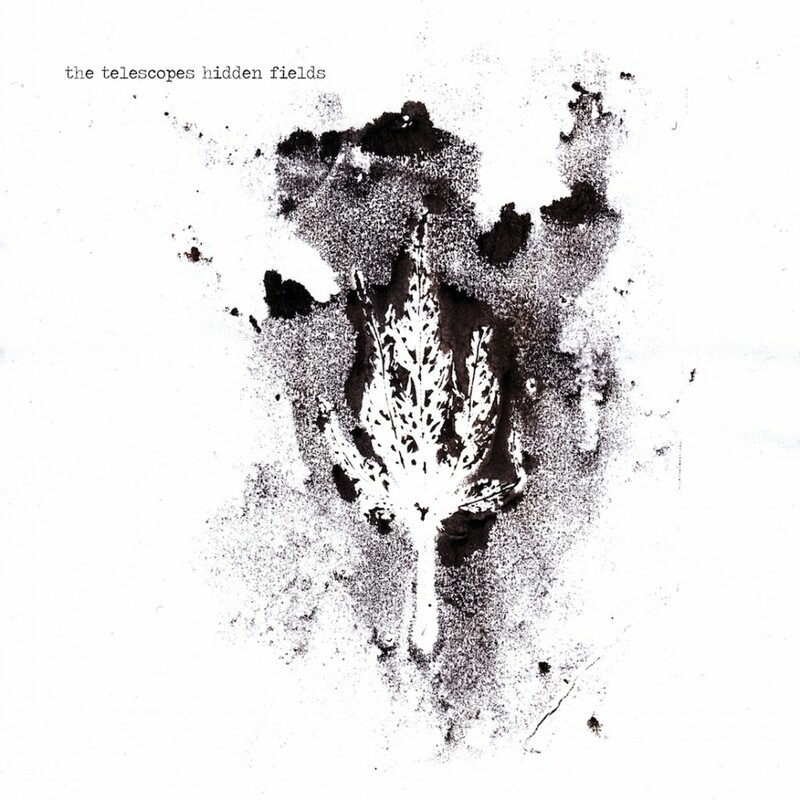 The Telescopes have followed the likes of Lloyd Cole, The Lilac Time and Robert Forster onto the increasingly impressive roster of Hamburg’s Tapete Records, on which they have released their first album in two years Hidden Fields. Possibly only The Fall have gone through more labels and members than The Telescopes, Tapete being the eighteenth label to release Telescopes material, and around thirty people have been in the band over the years. As album opener ‘You Know The Way’ ominously saunters into life, it becomes immediately obvious that this isn’t going to be a record for the faint-hearted. The ambling pace is accompanied by vocals which, for at least the second half of the song, recall the closing menacing growls of their peers The Jesus & Mary Chain‘s ‘Never Understand’, albeit at half the speed. ‘Absence’ is next up and is probably more of a ‘soundscape’ than a song, but after a few listens it’s a hypnotic treat that draws you in and issues a warm glow before ‘In Every Sense’ comes along with more of those slow, slow, Moe Tucker-esque drums and before you know it, another five and a half minutes have slipped away. The Telescopes were not always this way; they first came to my attention with their glorious 1991 nearly-hit ‘Celeste’ (well, it got to Number 83! ), which was easily as good as anything released by their then-contemporaries Ride, Slowdive or Lush at that time. With a little fortune, they would have emulated those artists’ success in the charts. ‘Celeste’ was certainly their commercial peak, both in terms of sound and sales. Penultimate track ‘Don’t Bring Me Round’ possibly even takes things a step further in the uncommercial stakes and (g)rumbles along with a really great, really simple bass line. Without wanting to overdo the JAMC references, it really does sound like something which could have lurked in a dark corner of that band’s ‘B-sides and rarities’ compilation Barbed Wire Kisses. But all of the above is merely a precursor to the gargantuan fifth track and album closer ‘The Living Things’, which again takes any focus it has from a hypnotically repetitive bass line, decorated with layers of dense feedback. It is as uncompromising a track as you are likely to hear this year. In the time it takes to reach its conclusion, Nottingham Forest have appointed and sacked two managers. Yes, it is quite long. There is nothing here to rival brilliant former singles ‘To Kill A Slow Girl Walking’ or ‘The Perfect Needle’, but I suspect that the aim of Hidden Fields is not to be packed with potential hits. It is very much an album where individual tracks wouldn’t make too much sense out of context, and demands to be listened to as a whole. Hidden Fields is released on 7th August.